Flash, flash, hundred-yard dash! The Zootopia Flash Plush Hat is the fastest way to declare your love for all things sloth. 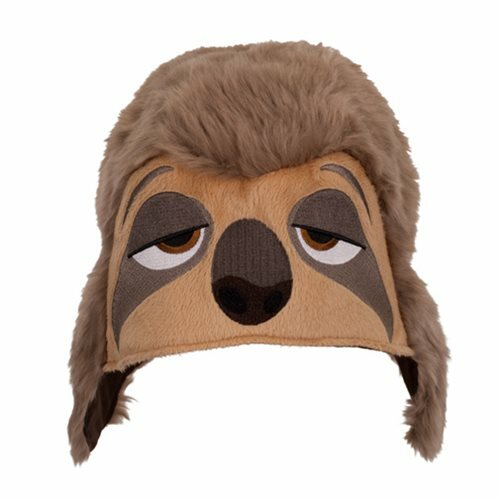 Featuring dark brown fur made from polyester, the Flash hat captures our favorite sloth with fun character embroidery. Even if you're late to the party, everyone will be glad to see you in this dashing style. An interior Velcro strap allows for a customizable fit for fans of all ages. The Zootopia Flash Plush Hat is a must have for fans of the hit Disney movie Zootopia.